Independently read the following link. In your writing notebook, write down your reaction. Share, what is our blog about? You have 30 minutes to independently work on your blog. Closing Out on SLT TN1: I can use exponents to understand large numbers, small numbers, and non-decimal counting systems. 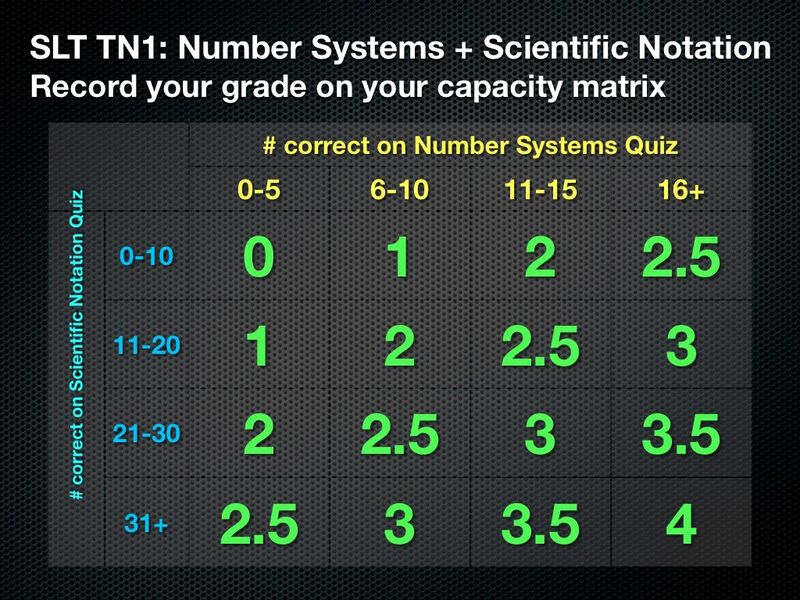 SLT TN1 Quizzes – See class instructions on how to receive a grade on these quizzes. Problem Set #2 is due today. Hand out Problem Set #3. This entry was posted in Class Agendas on September 25, 2012 by B.